America’s power grid is undergoing significant change. New mixes of electricity generation, as well as evolving consumer demand, make it even more challenging to manage. Moment-to-moment changes in electricity supply and demand can vary drastically, challenging power grid operators who must maintain a balance—in real time—to avoid disruptions and blackouts. Enter Senior Power Engineer Zhenyu (Henry) Huang. 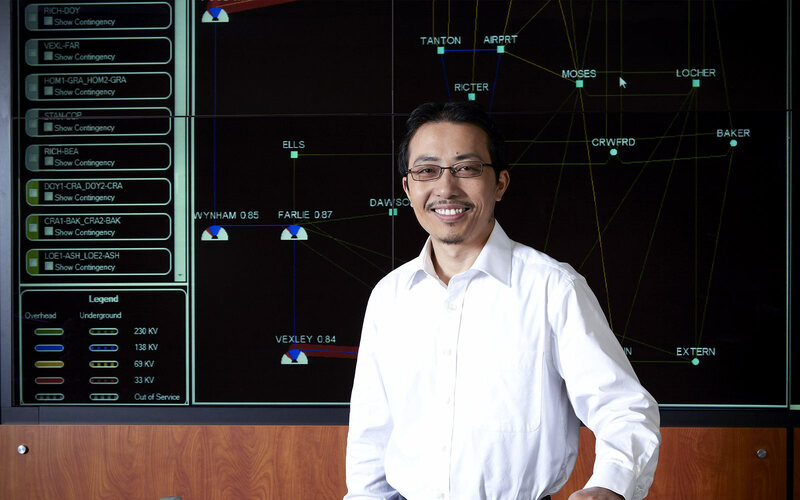 Henry leads PNNL’s initiative to develop technologies that will shape the future of the power grid, and he’s part of a team that is determined to make our nation’s grid more reliable and secure.